This designation is for those animals that have a genetic evaluation for production. It is generated from the CDCB evaluation process. Animals included on these lists must meet a strict set of criteria for genetic merit based on Milk Fat Protein Dollars (MFP$). This is an economic index primarily useful for commercial enterprises that is computed for the CDCB-DHIA genetic evaluations, and is a single genetic measure available for predicting the profit potential of future progeny. MFP$ (found on doe sheets or at the CDCB website) for an animal predicts the economic value of the contribution to progeny of genetic advantage for milk, fat and protein production. Does designated elite are in the top 5% of their breed nationally and bucks are in the top 15%. All does, regardless of registration, DHI test type, or any trait characteristics, including breed disqualifications are considered if they meet the criteria to have a genetic evaluation. This means that unregistered does are ranked in addition to registered does. This is most apparent in the Alpine breed. There must also be evidence of recent daughters or progeny. In the last 4 years for bucks and the last 2 years for does. To check specific trait information on ADGA registered animals, visit adgagenetics.org for detailed information. The highest percent ranking is 99%. An 85 percentile ranking (bucks) means the animal is in the top 15% of the population. This ranking changes with each evaluation. The Elite status is only listed on the pedigree during the time that the ranking is in the Elite range. The economic values assigned to PTA’s in the milk, fat and protein index (MFP$) are based on a cwt. milk price and weighted for fat and protein. $.031 (PTA Milk) + $.80 (PTA Fat) + $2.00 (PTA Protein). Also taken into consideration on the milk price in this formula are the average hauling, assessments and promotion charges. 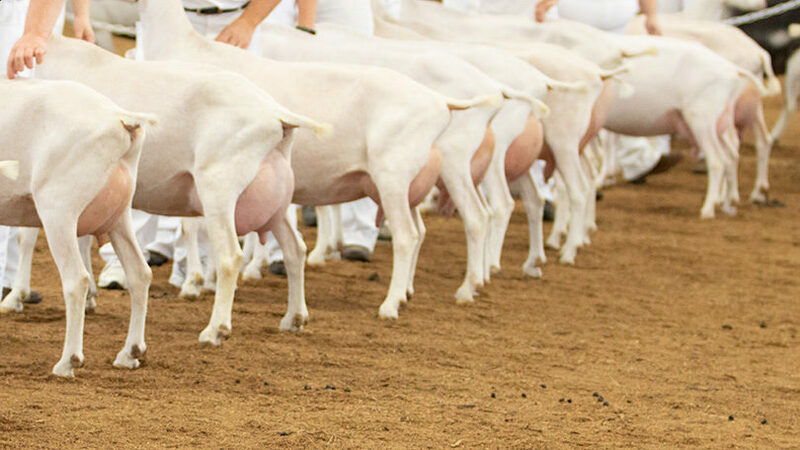 While the formula is based on dairy cow payments, the ranking can be used for dairy goats, although not the specific figure of dollars returned. ADGA Elite Buck Qualifiers August 2018. ADGA Elite Doe Qualifiers August 2018.